All prices below are Per Race. Discount applies if entering all Series races prior to close off of first event. Event 4 - Enduro: 300m swim, 19.5km cycle, 3km run - completed twice. Events 1, 2, 3, 5 & 6: 800m swim, 26.0km cycle, and walk/jog to the finish line. Event 4 - Australia Day: 1200m swim, 33.6km cycle, and walk/jog to the finish line. Mini, Tinman and S n S - A $2 component of non-members entry fee provides a compulsory one day membership to cover Public Liability & Personal Accident Insurance. Welcome to the 20th annual Triathlon Series presented by Gatti Sports Promotions. 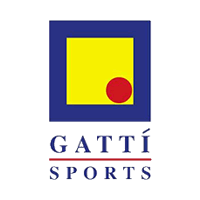 Our mission at Gatti Sports Promotions is to provide safe, fair and fun triathlon racing to each and every person who would like to take part. Whether you are a seasoned competitor or a first-timer, you will feel welcome at the Gatti Series . Age is no barrier, and no matter what your level of fitness, one of the three different race distances available is sure to suit you. If you do not feel confident with all three legs of a triathlon, bring a friend or two and complete the race as a relay team. - Accurately timed results will be posted on www.gattisports.com.au following each event. Challenge- 1st male & female in 15- 16yrs, 17- 19yrs and subsequent 5 year age groups. 1st male and female in the 13-15yrs, 16-19yrs and subsequent 5 year age groups. 1st male & female in the 15- 49yrs. and 50-80yrs. - Registration will take place at the race venue between 7:00am and 8:00am. ALL competitors must register at this time. - Entry fees are non transferable or refundable for entrants who do not compete or if adverse conditions result in the cancellation of the event. - The Bike Compound remains closed, and bikes are not to be removed without prior approval, until the last cyclist is off the cycle course.